We are leading manufacturer, wholesaler and exporter of Metal Stampings. Driven by technically advanced facilities at our ultra-modern manufacturing unit, we are presenting an extensive range of Metal Stampings. 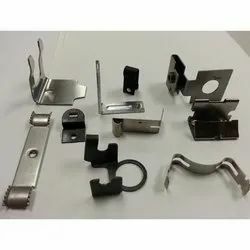 Designed with high precision, the provided stampings are manufactured using high quality metal with the help of modern technology in compliance with predefined industry standards. Apart from this, the offered stampings passes through numerous checks to ensure their defect free supply at our premises’ end. We offer these stampings at most economical prices. With sincere intentions to preserve and uplift our reputation in the industry, we are offering a comprehensive assortment of Metal Wire Stamping. 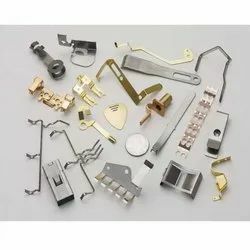 Our skilful technocrats manufacture these stampings from optimum grade metal with the help of innovative technologies in line with set industry standards. Ahead of final dispatch, these stampings are thoroughly tested by our quality examiners against numerous parameters. 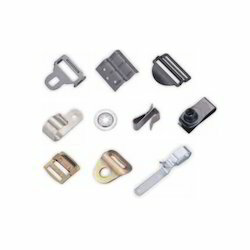 Our patrons can purchase these stampings in several sizes as per their precise requirements. With a firm commitment to quality, our organization is engaged in offering a wide range of Wire Forming Stamping. 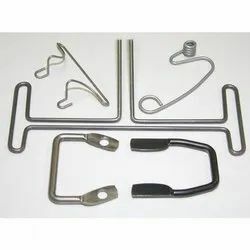 The offered stamping is used to produce a steel spring loaded bracket assembly. This stamping is precisely manufactured under the direction of dexterous workforce using optimum quality material and contemporary technology as per the set industry standards at our sound manufacturing unit. In addition to this, our offered stamping is duly checked against numerous parameters by quality our controllers. Looking for Metal Stampings ?